I always get compliments when I sew up Japanese patterns, and this make is no different. Wearing this makes me feel chic and modern. 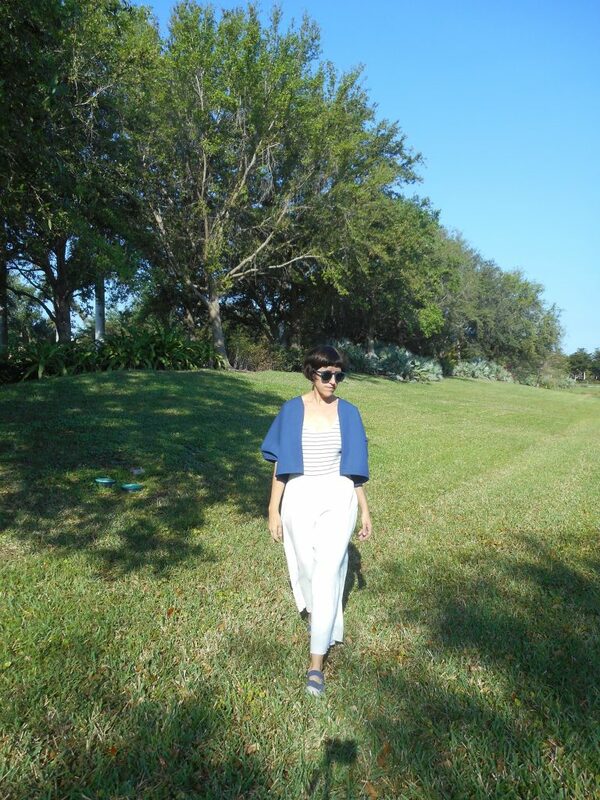 This is the Puff-Sleeve Bolero Jacket from Shape Shape 2, Sewing for Minimalist Style by Natsuno Hiraiwa. I’m leading a class for my ASG group in a few months on Japanese Sewing Patterns and thought I better beef up my samples. 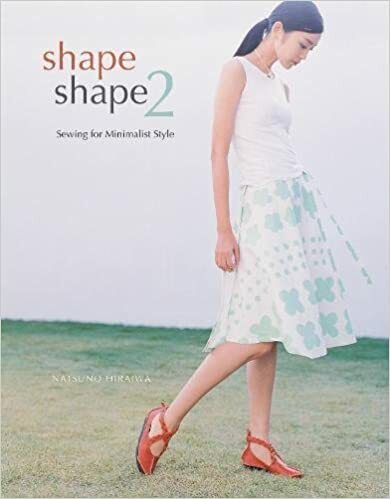 When I first started sewing her first book, Shape Shape was my go to for interesting patterns. I love the interesting shapes and simplified layout and instructions. 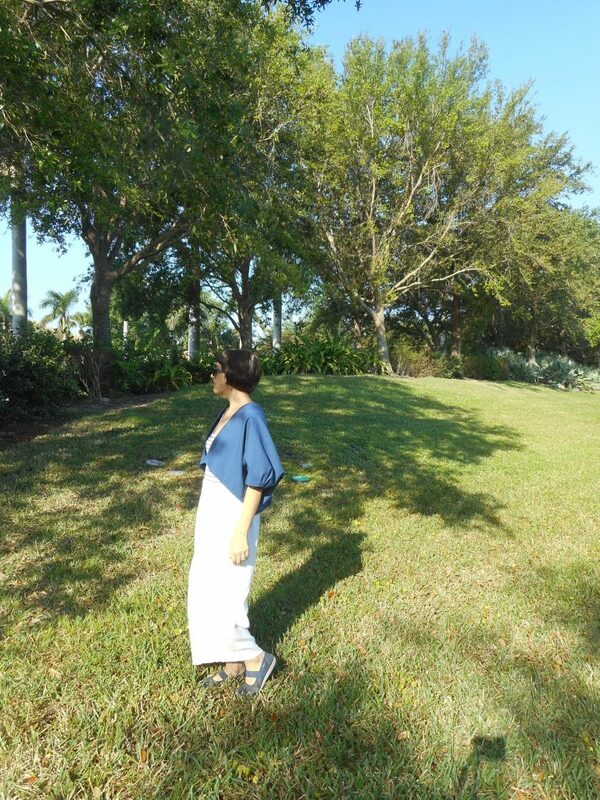 I love this color of blue! It’s so rich and vivid. 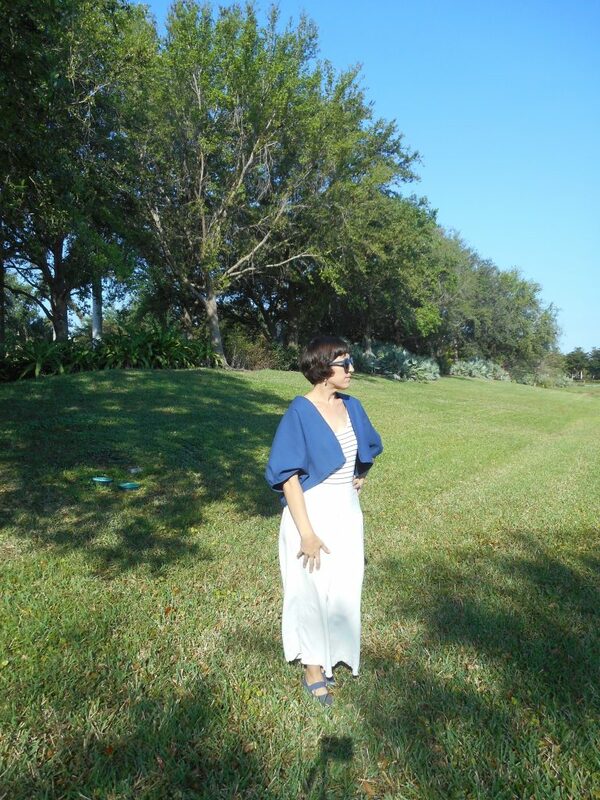 This is a reversible remnant that I purchased from Queen of Raw in a sample pack. 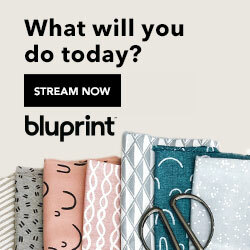 I love this sustainable company whose focus is on using up the fashion industries unused remnants. I bought two sample packs in cool and warm which each included 5 samples of at least a yard of each fabric. 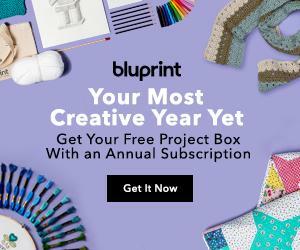 Great way to add simply to my stash for small projects. I had just enough of this to cut this pattern with very little waste. The pattern has two main pieces and a facing for the neck opening. 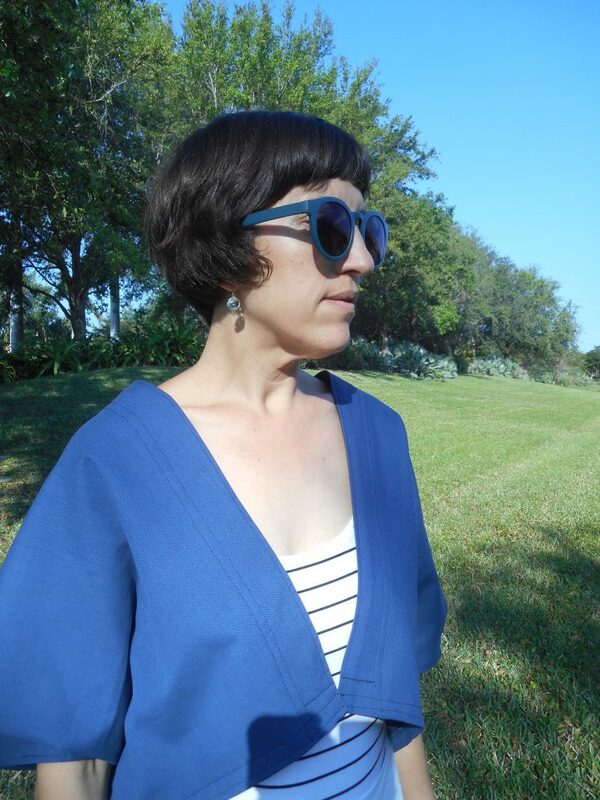 The exterior is a bright blue while the interior is a shade darker with more black and a slight print. The patterns in this second book are in the same style as the first Shape Shape with a few more variations. 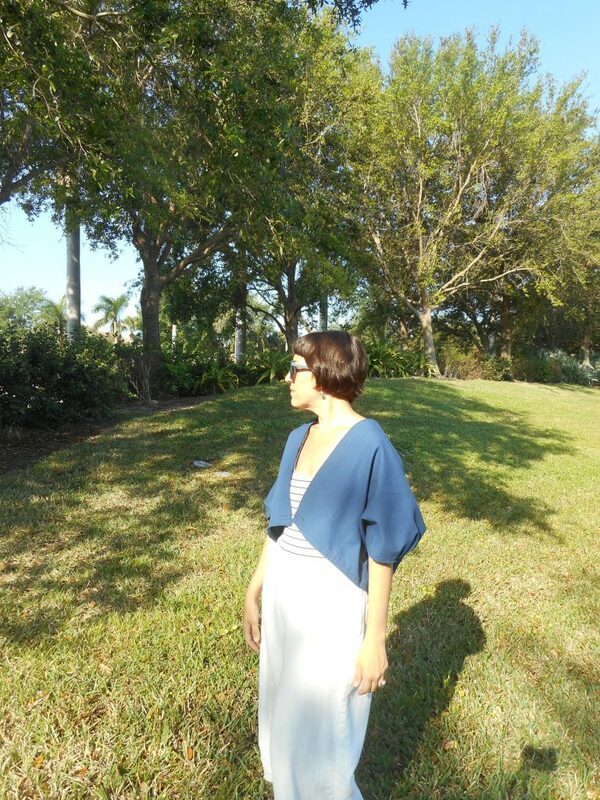 I was really drawn to the jacket patterns and the no seam skirt pattern(which I’ve already made as well!) 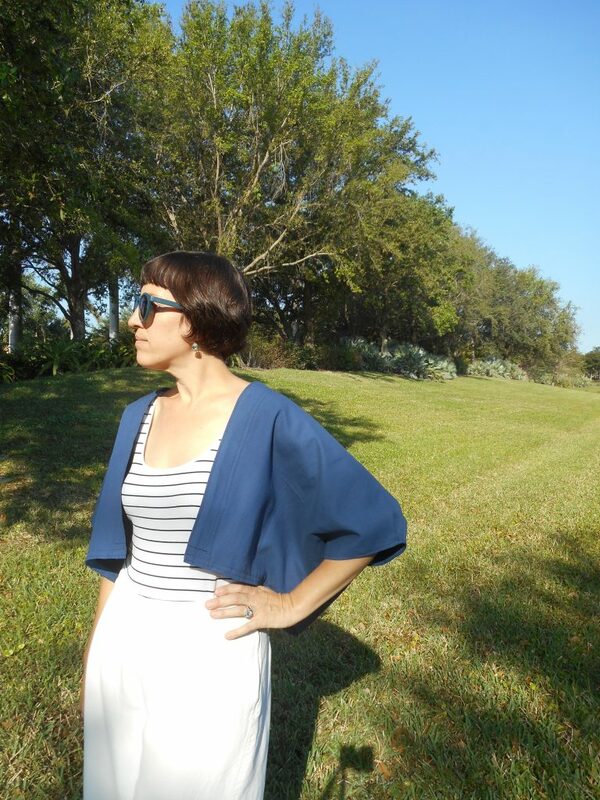 This bolero jacket is seamed down the center back and under the arms at the sides. I really like the detail of the small tucks at the sleeve. Next time though I’d like to lengthen the back to make this a bit longer in back. I may also add a button/loop closure to the front as this tends to blow open in the wind. 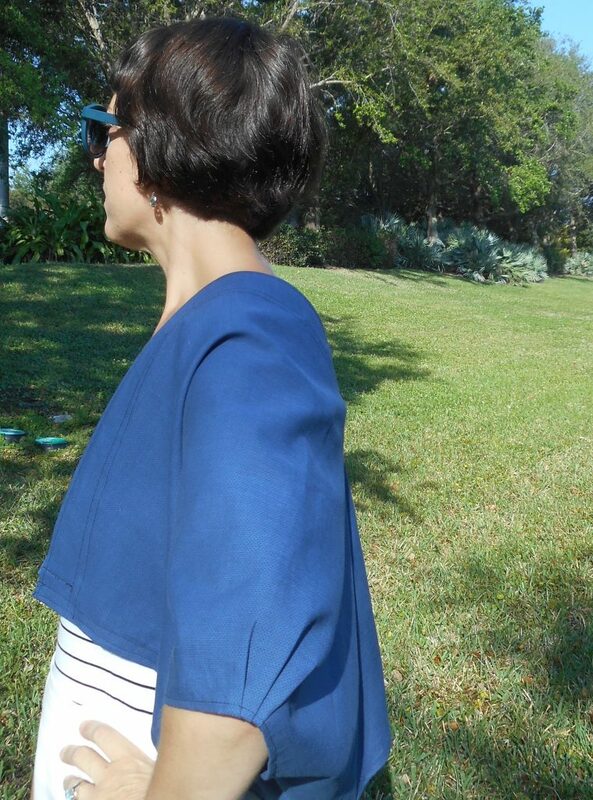 Lovely simple jacket to add a touch of modernity to my wardrobe. I just love this piece! In other news we just purchased a new townhouse last Wednesday! It’s a cute little split level home (a fixer upper) with an open living room and dining area on the first floor and bedrooms on the second with two Juliet balconies. What we love most is the fenced courtyard area outside tat open to the kitchen and living room. Our own little oasis. Though it needs so much work! We have a vision and it’s going to be so lovely after we fix it up. So far we’ve cleaned the entire place, removed old wood from the patio, switched out fixtures in the kitchen and gotten the tv system installed. I’m working on repainting the lower floor this week. I’ve got this first coat done on 3/4 of the space. It’s a pale aqua that brightens the space and gives it a beachside cottage feel. So back to work I go! What an awesome jacket! I may have to dip back into the world of Japanese sewing books. That fabric is gorgeous as well!